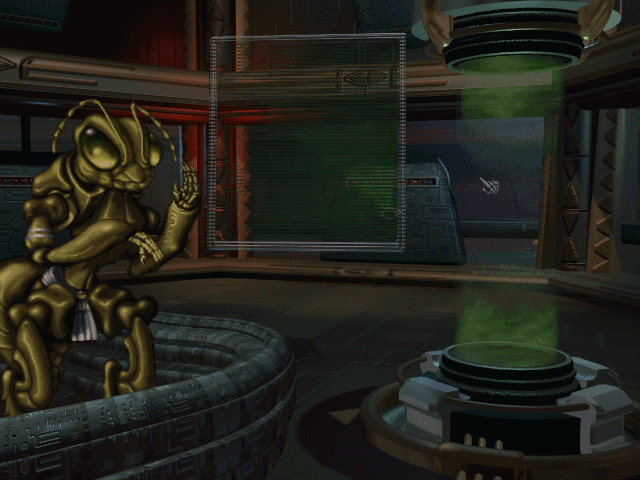 This track plays whenever you're talking to the Klackons in Master of Orion II, an ant-like race that operate as a hive mind meaning they're the only race in the game to have a "Unification" government; in gameplay terms, a Unification government means increased food and industrial production, and no morale penalties. Spies also receive defensive bonuses due to a lack of traitors. The Klackons also start on a large homeworld which is a nice little (or should that be, "large") bonus. A big downside for the Klackons is that they have the "Uncreative" trait which means while they're able to pick a general category of technology to research, they can't pick specific projects. The theme for the Klackons sounds frenetic yet at the same time, methodical and determined. You can just imagine a huge colony of ants, efficiently going about their business.